According to Nikolay Sivulskiy, the Head of the State Audit Department, his agency has requested authorities to deprive Ernst & Young Ukraine company of the due diligence and valuation? practice for its incompetent analysis and valuation of the UkrZaliznytsya assets. The Ukrainian Rail monopoly UkrZaliznytsya has been checked by the State Audit Department amid the monopoly’s announced plan to gradually increase prices for train tickets and cargo rail services. The first increase of 5% came effective as of 1st June this year. UkrZaliznytsya claimed it was loosing money due to its democratic tickets pricing. 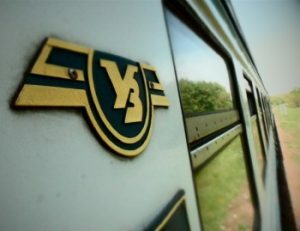 The results of the State Audit Department showed that the money lost by UkrZaliznytsya was not due to low ticket prices. Numerous facts of embezzlement and mismanagement of the company have now been reveled. One of the major? facts of embezzlement was related to financial reports produced by Ernst & Young. Ernst & Young Ukraine is one of the four major global audit companies and it has been operating in Ukraine since 1991.